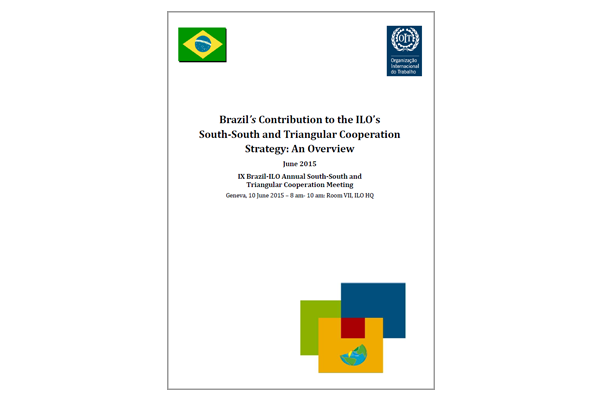 This study describes Brazilian Contribution to the ILO’s South-South and Triangular Cooperation Strategy. The success of Brazil in various areas of public policy, including programmes and activities addressing various areas of the Decent Work Agenda, such as combating child labour and forced labour, has received increasing attention in the international community and generated interest from other developing countries, which received with enthusiasm the new possibilities for cooperation with the Government. The ILO has in recent years pursued South-South cooperation as a new opportunity to spread its experience in these areas, focusing initially on the theme of child labour, the ILO’s most consolidated technical cooperation programme in Brazil, and moving to other areas such as forced labour, social protection, social security, green jobs, sectoral matters, and migration.